Both money and power should be devolved if the northern economy is to reach its full potential. Many northerners will be awaiting today’s Autumn statement with heightened anticipation. It marks a significant waypoint on a path towards a stronger northern economy, and will follow a series of recent ground-breaking announcements on city devolution, road investment and the creation of a northern ‘powerhouse’. After a tenacious and concerted drive from northern city leaders and local authorities, it seems all parties have sought to associate themselves with investment in the economic development in the north. But with little actual new cash promised, this could be a watershed moment for the north of England. And not before time. Despite its resilience and a wide range of economic assets, the north of England is long overdue such a programme of investment; well-rehearsed evidence shows how the level of neglect the region endures now drags both on the productivity of its economy, and the prosperity of its citizens. The north’s economic future depends in no small part on this investment. 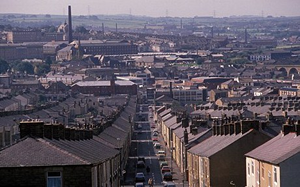 The north’s economy isn’t dependent on banking and finance squeezed into a small corner of a city, but equally it’s a long way from the mines and mills of the 20th Century. The business base is now diverse and modern, spread out or clustered across its urban and rural geography. Far more than in London and the south east there are many economic centres of gravity, and these need far better connections if their economies are ever to punch their weight. A wide range of industries stands to benefit from these investments, from high-value manufacturing to retailers and wholesalers. And they will capitalise on a broad array of assets; from the major international ports in Grimsby and Immingham, Tees, Tyne and Liverpool; to Manchester Airport, national parks, world-class universities; and – at the core of it all – the great northern cities, catalysts for productivity and innovation. But as Westminster politicians contest a short-term political battle over the northern economy in the run-up to the general election, credit must be given to northern leaders from all parties in coming together, putting aside such short-termism, and producing a long-term programme of investment that’s in the interests of the people they represent. ‘Rail North’ comprises all local transport authorities across the north of England, combining forces to co-manage the Northern and Trans-Pennine franchises. One North is a £15bn programme of investment, agreed amongst the five major northern cities – Liverpool, Manchester, Leeds, Sheffield and Newcastle – but also involving other interested parties who each see the benefits of a collaborative approach. This local cooperation and capacity-building has been many years in the making and represents an ‘offer’ to Westminster just as much as an ‘ask’. Building on this leadership will be critical going forward, and the governance that will underpin these investments is equally important. ‘Transport for the North’ – something that the Northern Economic Futures Commission recommended in 2012 – has now been taken up by David Higgins and endorsed at the most senior levels of government. This is an extremely important if often overlooked development: TFN could not only prioritise and coordinate these investments, but could bring forward a pipeline of new projects, innovate with new technologies and financing arrangements, or provide a structure for future tendering of rail operators. This ‘soft’ infrastructure will be crucial for coordinating and capitalising on the hard investments that need to be made. In many ways therefore, the Autumn statement marks the beginning of a new era for transport investment in the north of England. But it is also a significant milestone in the on-going process of developing the northern leadership and governance capacity that English devolution requires.